Post by Whitney Rix Victory II. Our breath-taking Black Diamond community has been developed with an emphasis on the natural assets of the landscape and concern for the environment in mind. For more properties like this one and many others please visit Eaglestar.net and call or email with any questions or comments. (NewsUSA) – America’s elderly are one of the fastest-growing segments of the population. As a group, senior citizens over age 85 are expected to double between now and 2030. While people are wondering what Social Security will look like in the coming years, senior housing is another rising concern. Some families are in a position to shelter older relatives, but those who don’t have that option are looking at nursing homes or assisted living facilities. Since assisted living is preferred five to one over nursing homes, it’s not too surprising that the market for new properties is expanding. 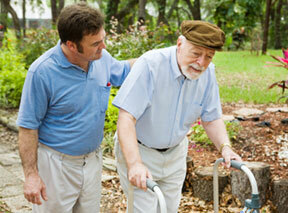 The demand for assisted living facilties will continue to surge as the population ages. Plus, it’s need-driven for elderly folks who can’t live alone due to certain conditions, like Alzheimers. It’s this demand that makes senior housing great for investment opportunities. Currently, small regional operators own the majority of stable assisted living establishments, or they’re of the mom-and-pop variety. According to Alexei Muniak of Xnergy Financial (www.xnergyfinancial.com), an investment banking firm specializing in capital structuring for emerging-growth companies, it’s simple — Madison Realty management sees a huge opportunity in assisted living real estate. about Xnergy Financial, visit www.xnergyfinancial.com. Should You Have a Survey Done When Buying Land? Q: Why is it important for a property to have a survey, and what should the survey show? A: Without a proper survey, a prospective buyer has no way of knowing if the parcel is the size the seller is claiming it is. The property corners or boundaries should be clearly marked during a survey, so that the buyer can actually see the physical extent of the property. A survey should also show any encroachments and easements that exist on the property, which prospective buyers should be aware of in order to make an informed decision about purchasing the property. Before you pay for a survey, check to see if a survey for that property has already been legally recorded. If a new survey has to be completed, make sure it is recorded whether it was paid for by you or by the seller. Q: What are encroachments and easements? A: An encroachment is an unauthorized invasion or intrusion onto property owned by another or onto a public street. Encroachments typically reduce the size and value of the invaded property. Examples of encroachments include improperly located private roads and driveways, or structures such as buildings, walls, or fences. An easement is an interest in land owned by another entitling the holder of the interest to limited use or enjoyment of a portion of that land. Common types of easements include rights of way for the installation of utilities or for roads that provide access to other lots or parcels. Q: Is it necessary to have the survey recorded? A: Yes. Legal recording is a process by which written instruments affecting the title to real property are entered into a book of public records. Documents that are typically recorded include deeds, mortgages, sales contracts, options, assignments, surveys, plats, and so on. Legally recorded documents provide proper public notice of the existence of such documents and their contents. Recording is usually done by a county or parish recorder’s office, but in some areas may be done by a city, county, or parish clerk, auditor, or other such office. A survey contains a legal description of the land. It also provides notice of the location of property boundaries, easements, and encroachments. Ensuring that the survey is recorded offers some protection against fraudulent claims or illegal intrusions made against the property or its title at a later time. Q: Are there any situations where a survey is not legally necessary? A: Possibly. If a parcel lies within a platted town, section, or subdivision, it is usually not necessary to have a recorded survey. A plat is a recorded map showing boundaries of individual properties within a development. A plat also shows the locations of streets, alleys, and public areas. The county or parish government where such properties are located can tell you if a property is platted or not. However, encroachments are still possible even in platted subdivisions, so a survey is almost always a good idea. If you buy a fenced urban lot and are happy with its actual (as opposed to legal) dimensions, then you probably do not need a survey of the property. Obviously each situation is different, and there may be some cases where a platted property needs to be surveyed. For instance, if walls, roofs, or other structures appear to be encroaching onto the parcel, you would be wise to have a survey done or ask the seller to do so. A survey is also recommended if the property boundary markers are obscured by structures, vegetation, or time, and you are concerned about getting all the real property for which you are paying. Problems with previous surveys would also warrant having a platted property resurveyed. In rare cases, bad surveys have been recorded on plat maps for entire subdivisions. Q: How can I make sure my surveyor does an accurate job? Surveyors, like all of us, occasionally make mistakes. The surveyor you choose should be licensed, bonded, and insured. He or she should also be able to provide references from former clients. It’s also a good idea to try to find out what his or her track record with previous surveys has been, if you can. Q: If there is a roadway accessing the parcel I want to buy, will I always be able to access my property via that road? A: Not necessarily. The issue of access, especially to parcels of land outside of platted towns or subdivisions, can be more complicated than it appears on the surface. Not only should you determine whether the parcel has good, year-round physical access, you must also make sure that the physical access and the legal access are the same. This basically means making sure any roads you use to access your property are in the correct physical location. If the access to the parcel is improperly located, you may have to find another way in, at your expense. Q: How can I make sure the access to the property is legal? A: First, you must determine whether the roads that access properties in that area, as well as the access roads to your particular parcel, are public or private. If the roads are public, platted, and maintained by the county or other government entity, the existing access is most likely assured. The situation becomes more complicated if the access roads are private and legal access to parcels is granted via easements that run across the private property of others. In cases like this, it may be nearly impossible to ensure that all the roads that are used to access a parcel are legally located within the road easements. If a dispute arises, common law dictates in most areas that once a road has been in use, a property owner must take civil legal action in order to physically stop others from using it. In other places, the property owner must provide an alternate route of comparable quality in order to stop others from using a roadway. If a survey shows that the road is improperly located, you should be prepared to move it at your expense. In many cases, the best solution is to try to come to some sort of agreement about the road with the property owner. If you are able to do this, get the agreement in writing and have it legally recorded. Another option is mediation or arbitration, offered in many jurisdictions as alternatives to court action. Q: Is there any way to avoid situations where my property access is in dispute? A: Not totally, but there are some steps you can take to protect yourself. First, inquire about the property access with the seller and/or his real estate agent. Ask the seller to sign a statement, required by some states and title insurance companies, to the effect that the property has physical and legal access, and that the physical and legal access are the same. Have this document recorded. Second, have the property surveyed, and the physical and legal access to the property described and mapped on the survey to the extent possible. Third, obtain a title insurance policy that guarantees physical and legal access to the property. Of course, these tips are generalizations only and do not adequately cover all situations, locations, or circumstances. We offer them for consideration only so that buyers may make more informed decisions about land purchases. It’s always a good idea to consult an attorney when making a real estate purchase. It may be expensive, but the cost is often well worth it, especially if potential problems are identified before the sale is final. Author CMPosted on February 19, 2012 Categories Property Buying Tips1 Comment on Should You Have a Survey Done When Buying Land?